Renee Baker is responsible for developing and executing marketing strategies for Aberdeen Asset Management's U.S. closed-end fund complex. She is also responsible for the funds' investor relations program. Renee joined Aberdeen in 2014 from OppenheimerFunds where she was responsible for institutional marketing. 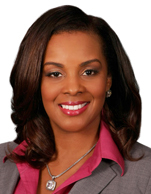 Previously, Renee held senior-level marketing roles at Walkers Global in the Cayman Islands and J.P. Morgan Asset Management. Renee holds a BS in Finance from Rutgers University, an MBA from The Pennsylvania State University, Smeal College of Business and a Doctorate Degree in Business Administration with a focus in Marketing from Wilmington University.